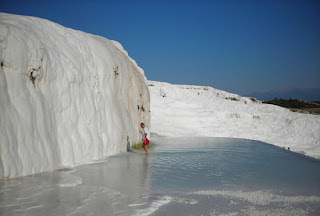 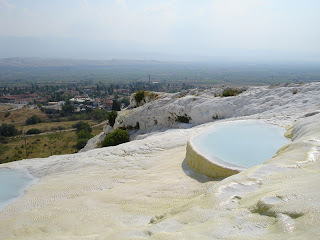 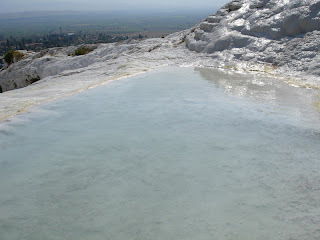 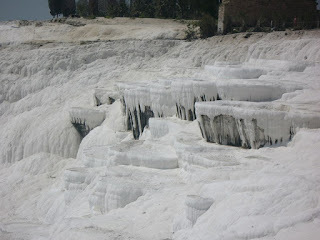 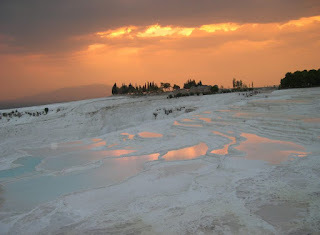 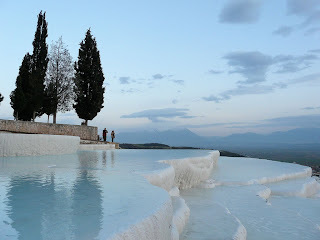 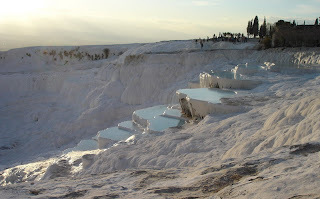 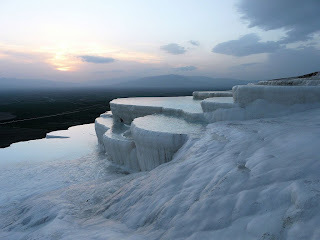 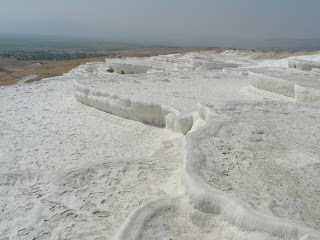 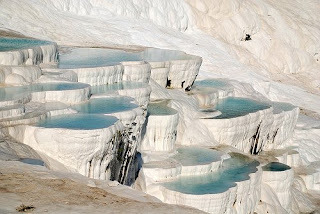 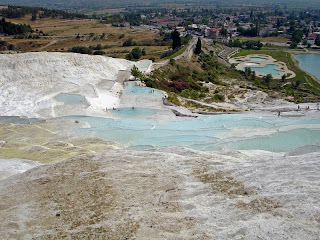 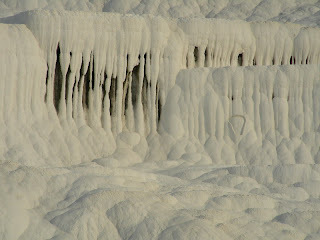 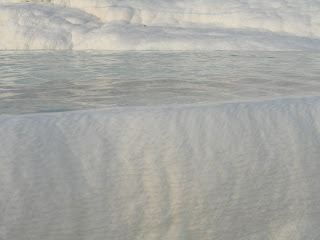 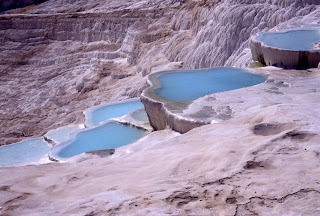 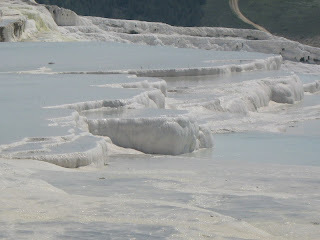 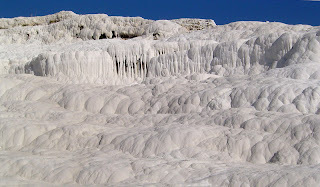 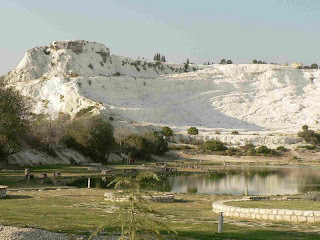 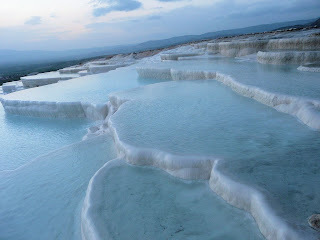 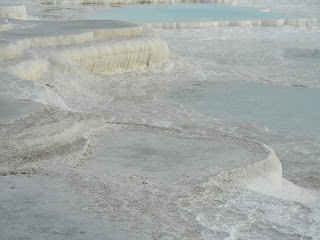 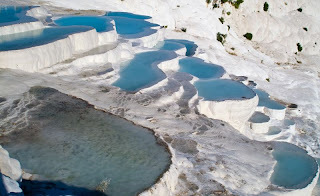 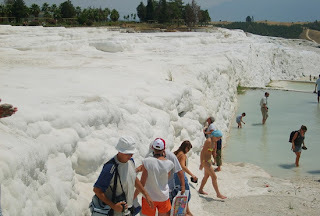 The tectonic movements that took place in the fault depression of the Menderes river basin did not only cause frequent earthquakes, but also gave rise to the emergence of a number of very hot springs, and it is the water from one of these springs, with its large mineral content — chalk in particular — that created Pamukkale. 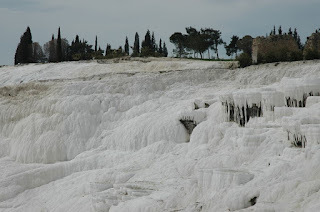 Apart from some radioactive material, the water contains large amounts of hydrogen carbonate and calcium, which leads to the precipitation of calcium carbonate. 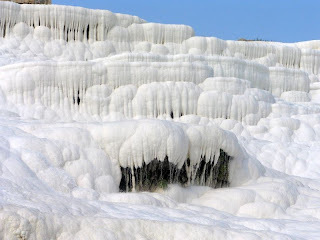 The effect of this natural phenomenon leaves thick white layers of limestone and travertine cascading down the mountain slope, making the area look like a fortress of cotton or a frozen waterfall.